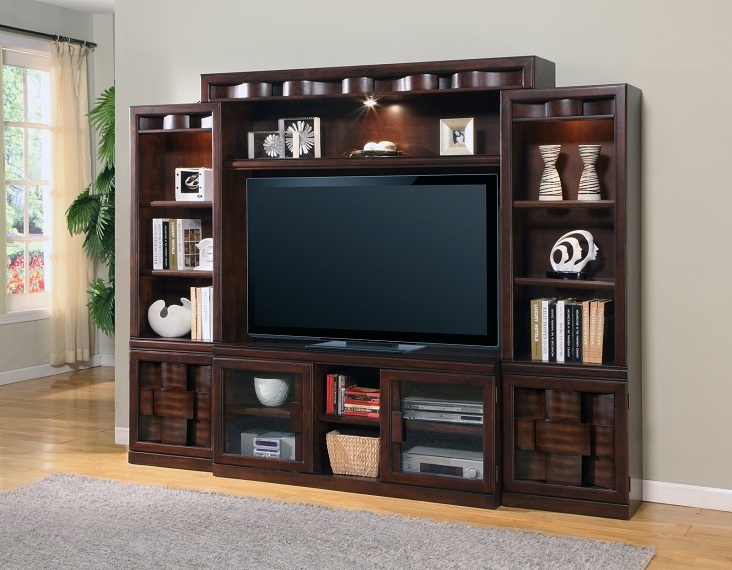 The Oslo Entertainment Console and Four-Piece Estate Wall present contemporary-casual TV units with touch lighting, glass shelf display and unique convex and concave, alternating panel crown and door front detailing. All components are crafted from poplar wood solids with birch veneers, and are finished in a complex Coffee wood stain. 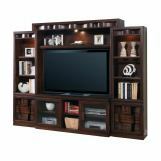 Keep it simple with the console, or opt for the complete entertainment wall and welcome Oslo into your home for a home entertainment center with the outward appearance of a custom built-in wall and the convenience and mobility of modular components.